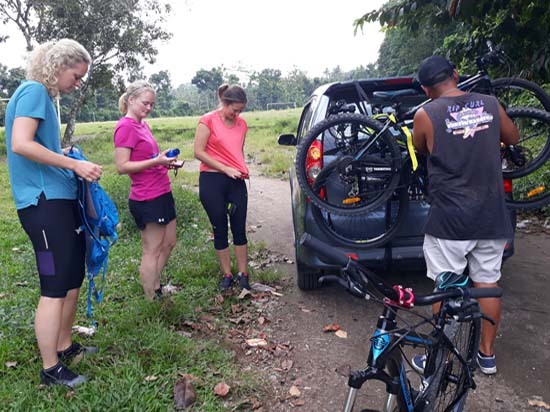 Lombok Biking tour – Bukit Korea Down Hill biking tour is the most of our Mountain bike challenging trails ride. Depart from Ranjok village ride up to the top of Bukit Korea (Korea Hill) and then long trails ride down hill to Gunung Sari village, cross over to Sesela village ride through main road to Meninting and then continue ride through sea side path ways until Batu Layar village which is the end of the tour. This Lombok Biking Tour require fit and good level of Mountain Bike riders. We will pick you up at your hotel and drive to Ranjok Village, start riding up hill to the top hill of Bukit Korea, beautiful views along the way up. 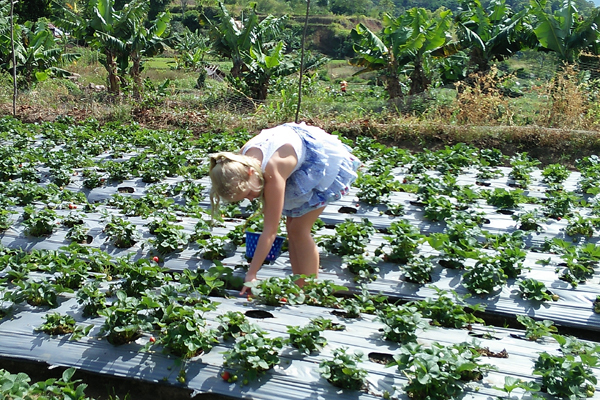 You will see lots of variety of local farm plantation that sells on the market, Tiring bike ride to reach the top of the hill, once reach the top enjoy the panorama around and then start down hill ride long trail to Gunung Sari. From Gunung Sari cross to Sesela village riding through main road to Meninting fisherman village. At the seaside of Meninting fisherman village continue follow the pathways riding until Batulayar Village which end of the Mountain Bike Ride. From here we will drop you of to your hotel by car. What to bring: Face Towel, sun glass, sun cream, camera and extra battery, some cash for personal need and tips. 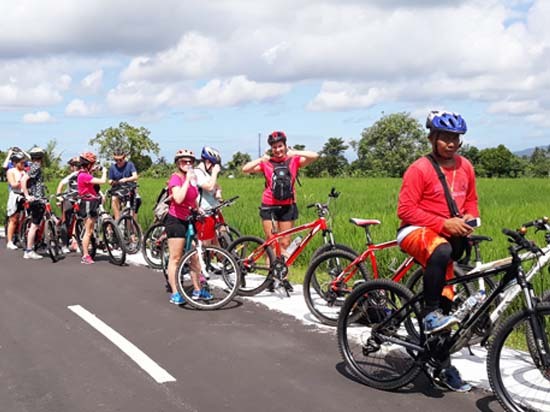 Lombok Biking Tour – Historical Lingsar Temple country side Easy Ride, start biking from Gunung Sari village through the back roads of Lombok’s, We will pass traditional farming irrigation systems dating back to the times of the Balinese colonialization of Lombok. 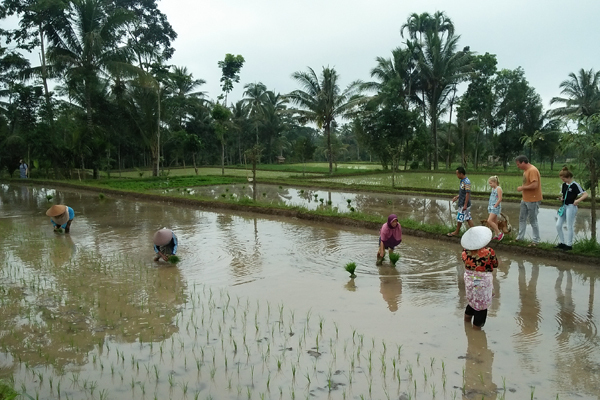 Endless views of terraced rice fields, visit Home Industry of Kerupuk (Lomboks typical cracker), Karang Bayan traditional village and Pasar Endut (morning market). This Lombok Biking tour is about 3 hours paddling and end up at Lingsar Temple, a unique and sacred temple of two belief. Hindus and Moslem watu telu who worship together in one place for their own believe.It is built around 1714. Lingsar Temple, this is a unique and sacred temple of to belief, Hindus and Moslem Waktu Telu who worship together in one place for their own belief. It was built around 1714. Nyiur Baye Village, central handycraft village where you can see local people making handycraft from rattan and bamboo. We will pick you up at your hotel Lobby about 08:00 am, then drive by car to Gunung Sari village, the biggest village in the town. We will start the biking from Hindus temple in Gunung Sari with slowly ride through the village, stop for visit at local food home industry of “Kerupuk” a typical Lombok’s craker made from Cassava, Banana, Jackfruit and other kind of Lombok fresh fruits. From here continue ride to Sigerongan village through Sayang – Sayang and then up ride to Karang Bayan and stop at Pasar Endut morning market to see local people activities tradding fresh local food and fruits and other daily needs. After walk around the market continue ride to Nyiur Baye to see local people making handycraft from rattan and bamboo materials and then continue riding to the ending point at Lingsar temple. Our local guide will take you walk inside the temple, to see unique of this old Hindus temple. After walk inside the temple we will drive you back to your hotel. The biking tour guaranteed on fun and Easy going tour at flexibility time of 3 hours paddle, you can do stop as many as you need for photograph and learn the nature. Suranadi Temple, is the oldest and holiest of the Balinese temples in Lombok, founded by the 16th century Javanese priest, Daqnghyang Nirartha. Underground streams bubble up into restored baths, used for ritual bathing. Our guide will pick you up 08.00 at your hotel and drive you to starting point in Suranadi village about 45 minutes drive from Senggigi area. Start biking from Taman Hutan Suranadi (Suranadi forest conservation), riding up through minor road inside the village of Suranadi. You will see Hindus complex in this village and beautiful greeny rice fields. 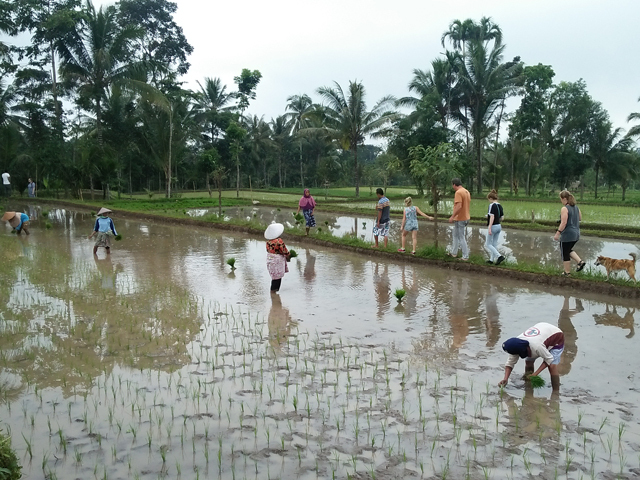 You might try to join the local people to plan or harvest the rice. 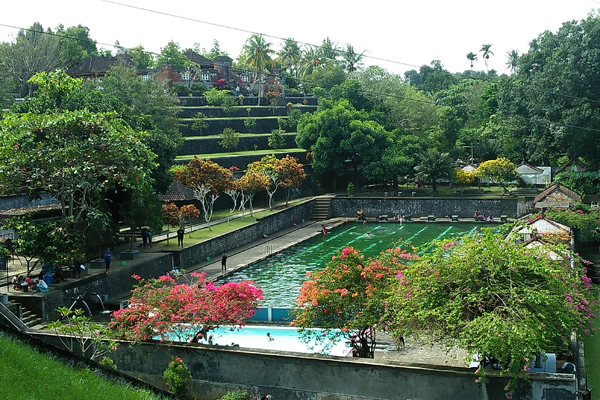 First stop will be taken at Pura Pembersihan Suranadi, here you can swimming at Natural pool fountain, fresh and cold water very good for freshen up after riding. You also might try local food (satay) at food stalls around here. After swimming continue the ride, still riding between rice fields view and then follow the main road for 500 meters before back to the minor road, passing Selat village to Pasar Endut, one of the morning market where you can see the locals selling fresh food, fruits and other daily needs. After seeing the market activities continue the ride to Nyiur Baye, we can stop and walk around the village to see local people making Ketak handycraft from rattan and Bamboo, from here we then continue riding to end of the trip at Lingsar village. From Lingsar village transfer back to your hotel. Lombok biking tour – Kerta Gangga Waterfall Down hill is exploring the villagers around Gangga Waterfall on the North Lombok (Lombok Utara) region. 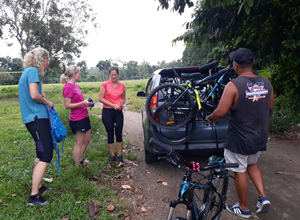 Start biking from Selelos village which is known for it’s coffee, Vanilla, and Cocoa plantations, as part of the deforestation, we can find some of the Giant wood on route also you can observe many kind of tropical plantations surrounding before end up your paddle at the hidden Kerta Gangga Waterfall. This Lombok Biking Tour require at least medium level of skill bike riders, applicable for solo trip, couple, family and small group. This cycling tour guaranteed on fun and Easy going tour at flexibility of time, you can do many stop during the tour. Rice fields and local farm plantation, beautiful rice fields along the way and riding between local farm plantation such as coffee, vanila, cacao and other kind of herbs. You may try the local fruit. Our guide will pick you up at your hotel Lobby about 7:30 am and then transfer by car to starting point of Selelos Village, the journey about 1 hour if you stay around Senggigi area. we then slowly ride up hill and moving through under tress shade passing the Coffee, Cocoa, and Vanilla plantations on the fairly dart road, this will takes about 30 minutes paddle up hill, this will test you to the limit but it will reward you beyond your wildest calorie burning. It’s time to ride downhill after taking a break at post area. It your show time on your own style ride on the dart road downhill route through the hidden Kerta Gangga Waterfall, your guide will come along with you wether you do speed or slow ride. Downhill taking about 45 minutes, your trip will end up at the waterfall and have chance to observe the waterfall or refresh your self in to the cold water of the waterfall. It’s coffee time, after enjoy the waterfall you will try local Robusta coffee then heading back to hotel. Tempos Country Side Easy Ride is Lombok Biking Tour that exploring the country side of Tempos Village on the West Lombok Region. Your cycling begin from West Lombok (Lombok Barat) monument in a Village of Mendagi riding in agricultural areas of West Lombok district. The Cycle route is recognised as one of the green area of West Lombok district. 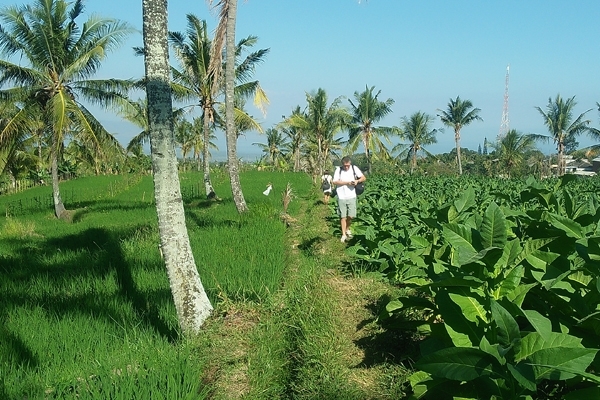 Along the route you will get warm greeting from kids and villagers says “”Hallo Tourist”” to you. 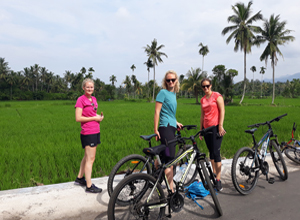 Greeny views and fresh air breeze from the rice paddy fields along the route, also you will crossing one of the historical bridge was build by dutch during the colonial era, Stop at Penarukan village to see traditional hand weaving and Gunung Pengsong Temple. Park your bike and climb the steps to visit the temple and observe the spectacular views of Lombok straits, includes the Ampenan and Mataram city view. This tour recommended for travellers who has good level of fitness and have several experienced on long riding bike. The riding distance approximately 30 kilometers. The cycling tour guaranteed on fun and Easy going tour at flexiblities of time of 4 hours paddle, with many stop during the tour. Gunung Pengsong Temple, an old Hindu temple set up on the of Pengsong hill, climb the steps to reach the top and you will see spectacular view from its top. We will pick you up at your hotel Lobby about 8:00 am and then drive by car to cycling starting point of Gerung Boulevard. 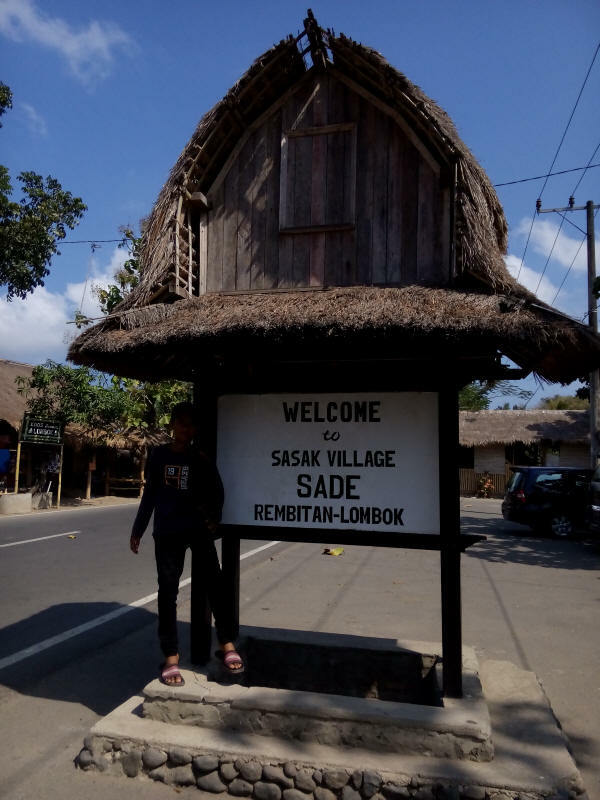 Start with slowly ride and move through Dasan Geres village, passing the West Lombok Head District Offices through the huge rice fields along the ride until Tempos Daye village, sometimes wild eagle and any other kind of birds are seen around here. You will have a chance to take pictures of the birds and socialize wtih the local farmers. After take some rest continue ride to Tempos Lauk on this route you will passing few villages includes the Balinesse village, then crossing the historical Bridge of Penarukan onto Kebon Ayu village, feels the warm hospitality of the local people at this village, walk inside to see the traditional hand weaving. After walk around the village continue paddle our bike to Ketejer Village passing the communal cow farm then onto Suka Makmur. Before end up our cycling tour at Pengsong Temple, we will crossing the river at Kebon Kongok by traditional Sampan (Gondola). Park your bike and climb up the stairs to visit and observe the temple with it’s amazing Lombok straits and stunning city scenery. End of the tour, we will drive you back to your hotel. Lombok biking tour is one of the best way to explore Lombok tropical island. Our rides are tailored for beginners to intermediate bikers. Either you are solo traveller, couple, family or group on easy biking level, medium biking level until challenging down hill mountain bike. 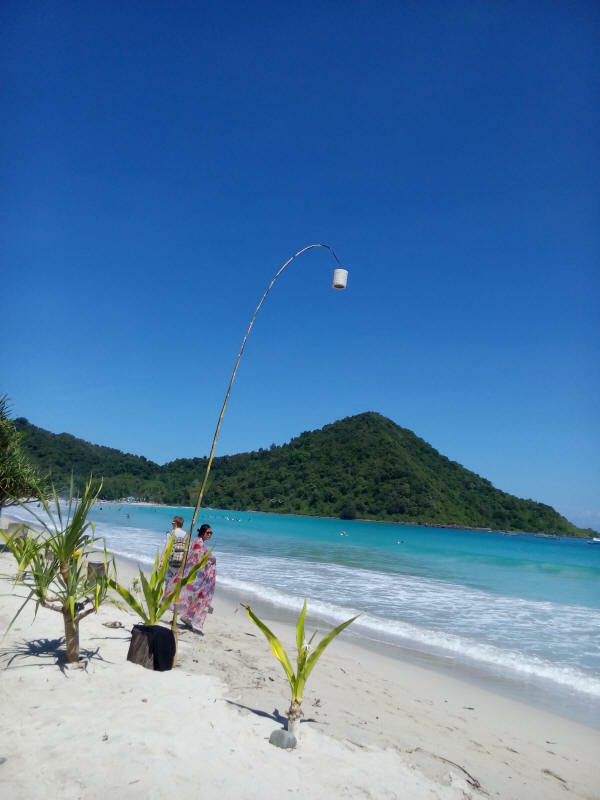 Lombok’s Tranquil mountain areas peppered with rice paddy fields, small traditional villages and stunning views of Lombok’s unspoiled beaches, all surrounded by a culture minus the marks of wide spread International tourism. Taking one of our Lombok Biking tour is the best way to discover and experience the unique of Lombok Island. Whether you want to immerse your self into historical and cultural tribe, get a great deal on local markets, experience the wonderful landscape, cycling into country side and wandering at lush green of rice paddy fields. Lombok Biking Tours also applicable for small group of family, couple from a cruise ship that have limited time to explorer the island. 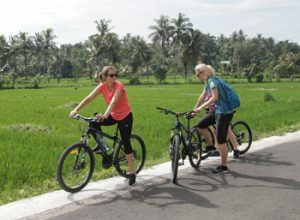 Our Lombok Biking Tour is escorted by experiences and profesional guide and set up to fun and easy going with flexibility time to suit every travellers wish and holiday dreams. Bellow are the best option of Lombok Biking Tour for short holiday visit on Lombok. 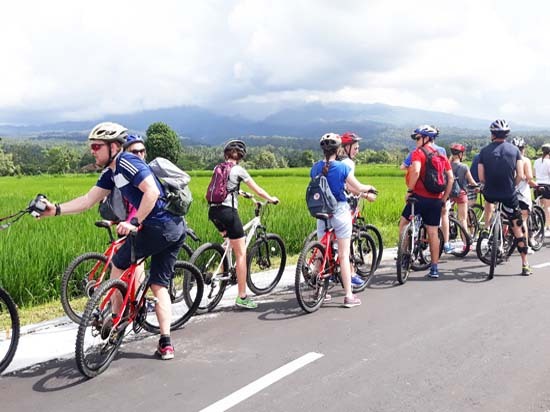 Lombok Biking Tour – Historical Lingsar Temple Country Side Easy Ride, start biking from Gunung Sari village through the back roads of Lombok’s most fertile area, you will pass traditional farming irrigation systems dating back to the times of the Balinese colonialization of Lombok. Endless views of terraced rice fields. On the way visit Home Industry of Kerupuk (Lomboks typical cracker), Karang Bayan traditional village and Pasar Endut (morning market).This tour taking max 3 hours paddling and end up at Lingsar Temple, a unique and sacred temple of two belief. Hindus and Moslem watu telu who worship together in one place for their own believe.It is built around 1714. 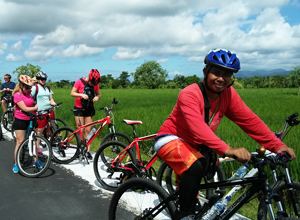 Lombok biking tour around Tempos, a country side village of Gerung district, Lombok Barat. 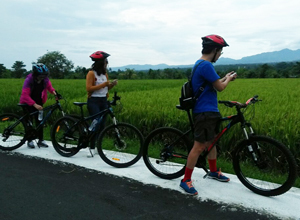 Cycling through green scenery of rice fields to feels the breeze of the fresh air along the ride. This Lombok Biking Tour bring you close in touch with peaceful and simple life of farmers in an amazing place, see daily activities of the villagers. 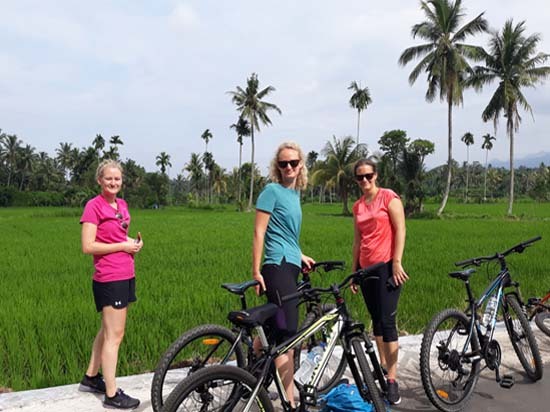 This cycling tour duration about 3 hours applicable solo traveller, couple or family group also advise for guests from cruise ship that arrive at Lembar harbor. 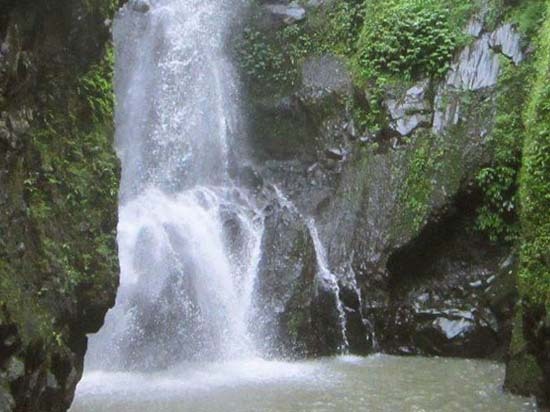 Lombok One Day Tour – Benang Stokel waterfall and Benang Kelambu waterfall tour is one day tour discovering two beautiful waterfall in central of Lombok island, Benang Kelambu waterfall and Benang Stokel Waterfall. You also will experience the beautiful nature, see rice terraces on the journey and visit Narmada park one of the historical temple in Lombok was built by Karang Asem King from Bali. 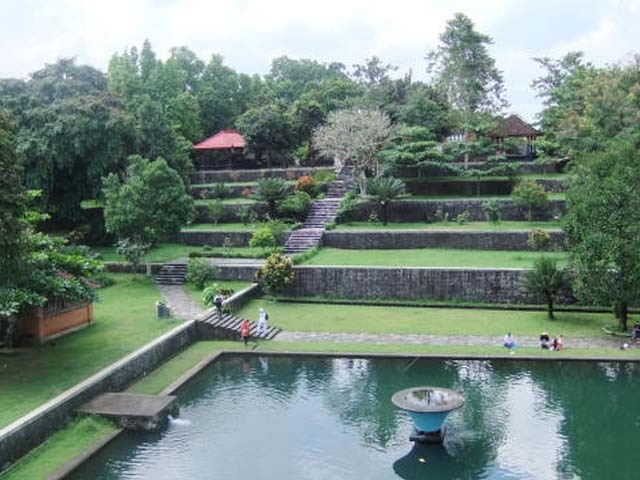 Narmada Park: historical place use to be a palace of Anak Agung Gede Ngurah, one of Balinese king which was built in 1805. Here you see a miniature of Mount Rinjani and Segara Anak lake with a holy temple on the top. Allegedly, king of Anak Agung Gede Karangasem built this temple because of his old age that he couldn’t climb Rinjani mountain to do the pray. As a replacement, he built a temple in a Rinjani mountain ‘miniature’ which is known as Narmada park. Rice Terrace: Lombok rice terrace very famous because of it beauty and natural lanscape, used by the local people of Lombok to grow rice during rain season and other variety of plantation during summer such as corn, bean, peanut, watermelon, tobacco etc. Benang Stokel Waterfall: natural beauty of waterfall, clean and fresh water flows from river upstream on Mount Rinjani with 20 meters heigh. Depart from 09.00 from your hotel lobby drive through Mataram city to Narmada Park which is our first visit. It take about 35 minutes drive to reach Narmada Park, when you step in Narmada , you‘ll feel as if you’re in Rinjani mountain which surrounded by wood and lake. This holy place stands impressively in Narmada park which is a ‘miniature’ of Rinjani mountain. Allegedly, king of Anak Agung Gede Karangasem built this temple because of his old age that he couldn’t climb Rinjani mountain to do the pray. As a replacement, he built a temple in a Rinjani mountain ‘miniature’ which is known as Narmada park. After exploring Narmada Park continue the trip to the waterfall, on the way you will rice terraces where we will stop for walk on it and take pictures. After about one drive reach the gates of Benang Stokel and Benang Kelambu Waterfall, from the gate continue by walk 20 minutes to the first waterfall, Benang Stokel. 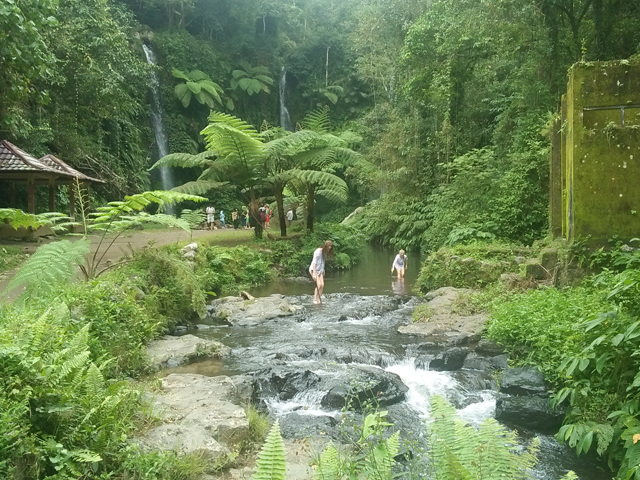 The water so clean and frest, also there is huge pond under the waterfall so you can jump on it. 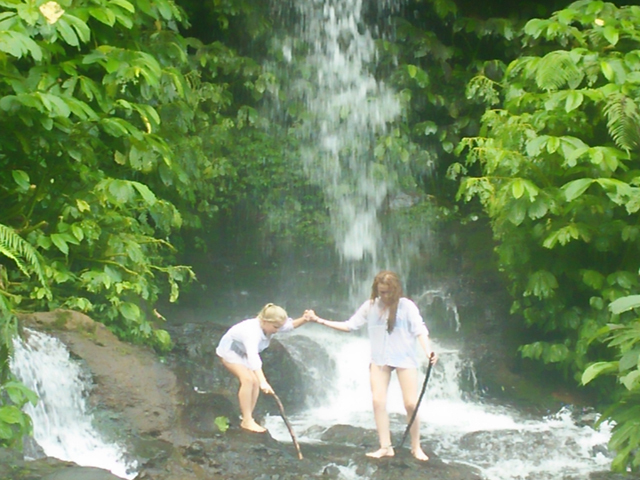 After swimming continue walk to the second waterfall, Benang Kelambu about 25 minutes. Its walk between the coffee and bananas plantation, you will see lots of wild grey monkey along the walk. Sometime the black monkey also come up. 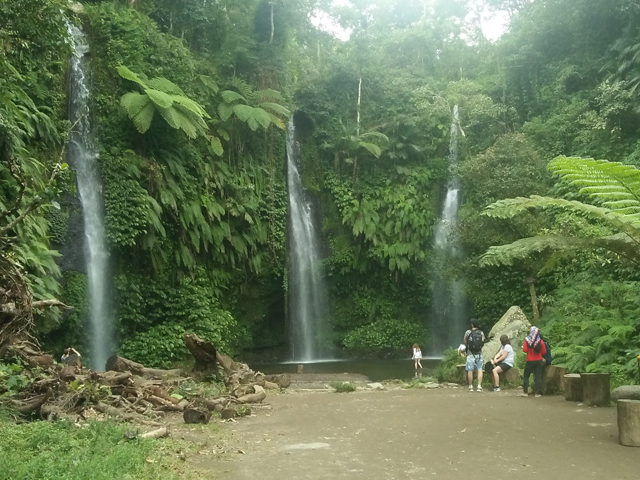 Once you reach Benang Kelambu Waterfall, you will get mesmerized by the waterfall, Instead of flowing through stones, the waterfall is flowing through plants. The word “Kelambu” means curtain and the plants are framing the waterfall just like a window and curtain. There are six waterfall spots and two or them are stretching like a curtain. The water that flows through Benang Kelambu Waterfall and Setokel waterfall does not pass any river. Since the water flows directly from the fountain, the water is very clean, fresh and can be drunk directly. After enjoy the shower at Benang Kelambu walk back to the gate/parking area and drive back to your hotel. Extra cloth for change, small towel, sun glass, sun cream, camera and extra battery, some cash for personal need and tips. 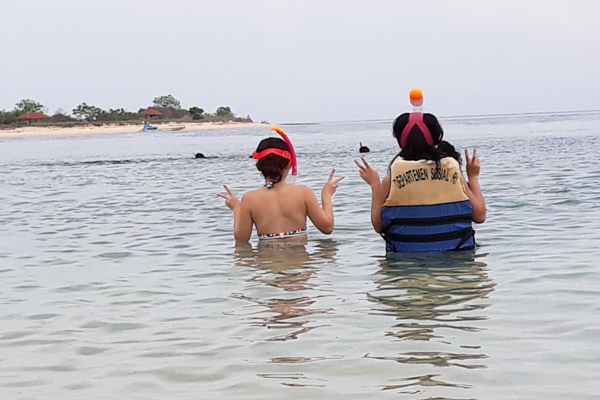 Gili Kondo and Gili Bidara East Lombok One day Snorkeling trip is exploring the uninhabited and unspoilt Gilis on the east coast of Lombok Island. The Gilis are Gili Kondo, Gili Petagan, Gili Bidara and Gili Kapal located at Sambelie district of East Lombok Regency. Visiting these places will enriching you travel expereinces with the super beauty underwater scenery, colorful coral reefs. Gili Petagan, located in Sambelia region in East Lombok, Gili Petagan becomes part of the Regional Marine Conservation Area (KKLD). Gili Petagan coverred by mangrove forest that has existed since the Japanese colonial era. 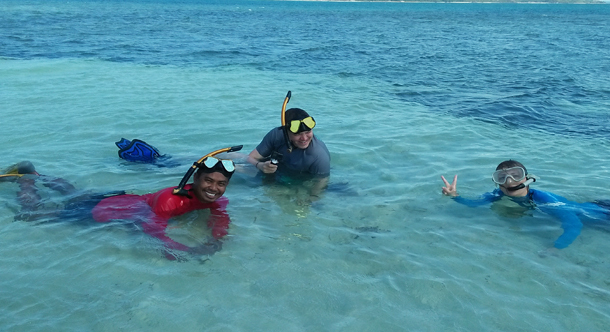 We can do swimming and snorkeling at Gili Petagan, clear water and natural beauty live corals. Lian tree called the ancient tree because plant species are endangered tree species are only found in about 1.5 ha of land located around the hamlet Menanga Classified Gunung Malang Pringgabaya District of East Lombok, precisely in the north Courses General Menanga Line or in front of Pidana beach tourist area. Gili Bidara belong to the ranks of the small uninhabited island among many other islands, so no accommodation that can be utilized. When you visit Gili Bidara you will only find a pavilion for shelter, better known as Berugak. So you should bring supplies and tents, or heading to Gili Kondo separately obtain a homestay or camping on the outskirts shores. 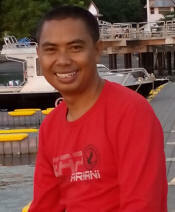 Depart 07.00 from your hotel strightly drive to Labuan Pandan (harbor) Sambelie region in East Lombok. 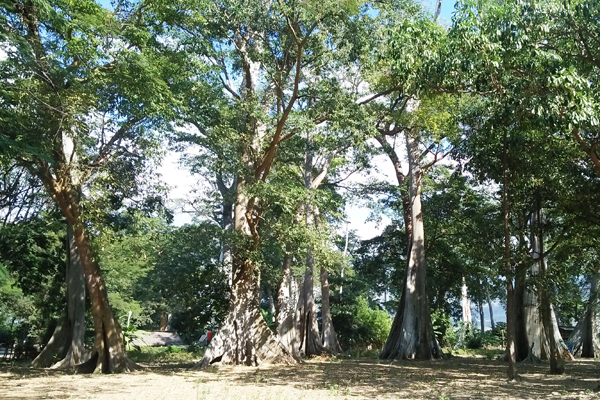 Before we reach the harbor we will stop to see the giant tree called Lian tree, the local residents around this tourism call the ancient tree (Ficus albipila) with lian tree because it is not found elsewhere. It is said that the tree was only in Australia, Africa, and Permatan Hamlet. This refers to the story of various told about the seeds are carried by birds that flied from another continent or drift to Lombok due to tsunamis in Australian waters hundreds of years ago. From Labuan Pandan continue with boat ride to Gili Kondo for first snorkeling and swimming activity. Spend about 1 or 2 hours in Kondo then move to Gili Bidara for another snorkeling. Here we will grill fresh fish for you for lunch. After lunch we will explore the next island, Gili Petagan. 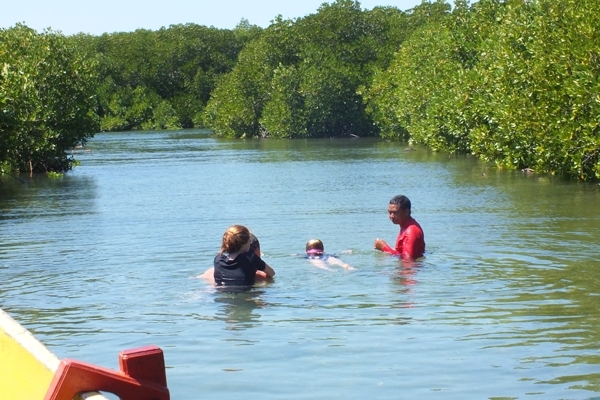 When high tide possible explore the manggrove forest by boat ride and swimming between manggrove tunnel. After explore Gili Petagan we will ride back to Labuan Pandan and drive to your hotel. Extra cloth for change, small towel, swim suit, sun glass, sun cream, camera and extra battery, some cash for personal need and tips. 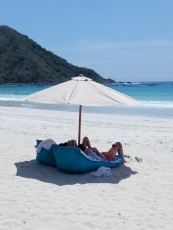 South Lombok one day tour is discover the intriguing sights of the island, beautiful scenery, the unique culture, traditions and way of life. On this tour, you will visit many handicraft and pottery villages combining with beautiful white sand beaches on the southern part of Lombok Island. 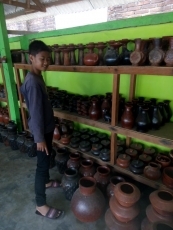 Our guide will pick you up at your hotel lobby 8.00am to start the tour, first drive to Banyu Mulek the Pottery village, passing the old town of Ampenan where you can see old ducth building along the road side of Ampenan Town. After drive about 30 minutes we arrive at Banyumulek village, here you can see the local making a pottery from mountain clay in traditional way. 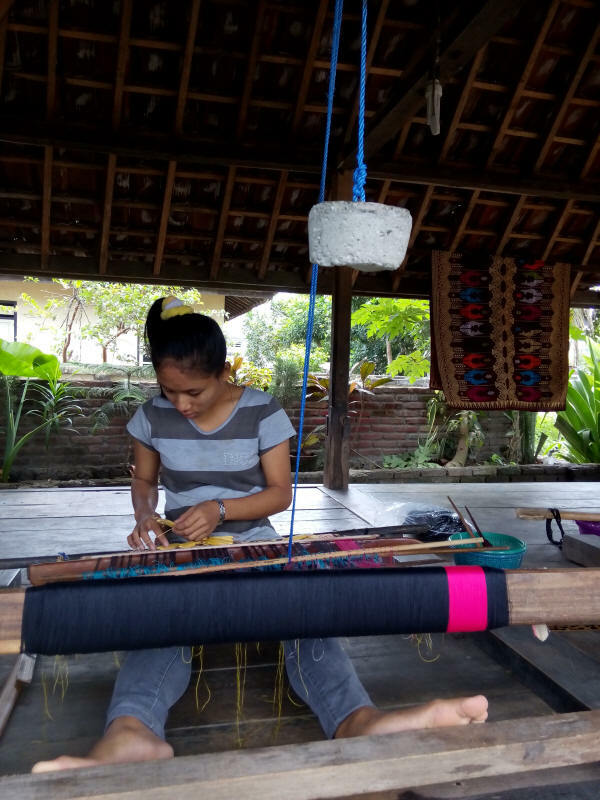 From Banyumulek village we will travel about 15 minutes to Sukarare the traditional hand weaving village to witness the intricate process of fashioning the pattern of traditional cloth. At Sukarare Village you can try how to weave and also sample the Lombok traditional customs. 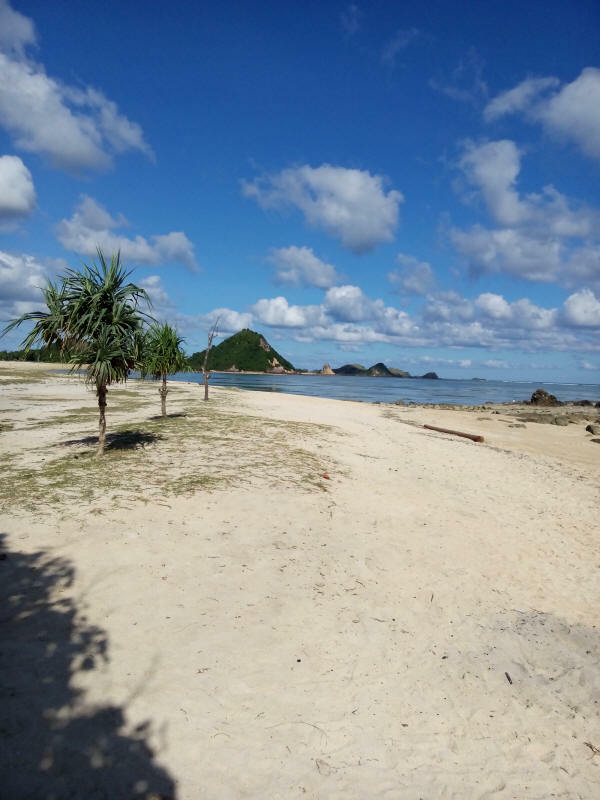 From Sukarare then continue the tour to beaches, first beach to visit is Selong Belanak which very famous for surfer, it take 30 minutes drive from Sukara Village to reach the beach. Here you can relaxing on the miles of pristine white sandy beach and wacth the visitor plays surf. If you want try to surf you can rent the board at the board rental by the beach. 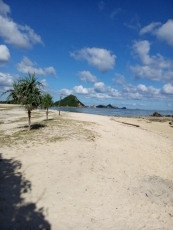 After Selong Belanak continue the trip to Mawun Beach, very calm and charming atmosphere of the beach. You can swimming and relaxing on the white sandy beach. 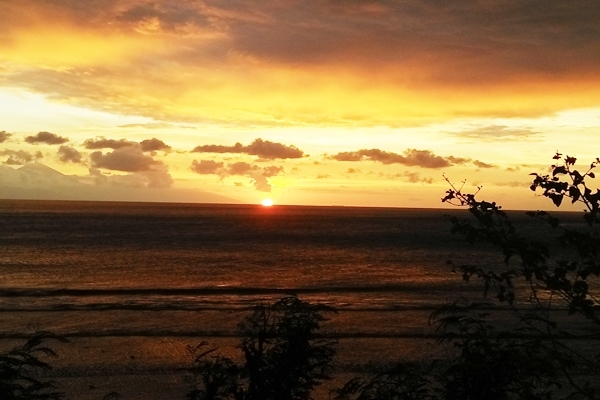 From here continue drive to the most famous beach in Lombok, Kuta Beach. Walk around the beaches, you also can buy lunch at one of the local restaurant along the beach. 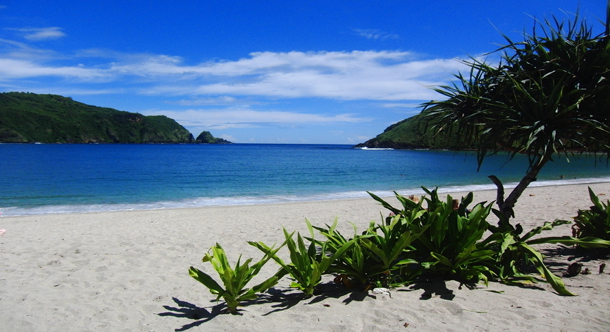 After beaches continue the trip to the last visit at Sade Village, just 10 minutes drive from Kuta Beach Lombok. Sade village is Sasak traditional village featuring the unique local architecture of the living house and the rice silo. Face Towel, sun glass, sun cream, camera and extra battery, some cash for personal need and tips. Narmada Park, this historical place is use to be a palace of Anak Agung Gede Ngurah, one of Balinese king which was built in 1805. Here you see a miniature of Mount Rinjani and Segara Anak lake with a holy temple on the top. Allegedly, king of Anak Agung Gede Karangasem built this temple because of his old age that he couldn’t climb Rinjani mountain to do the pray. As a replacement, he built a temple in a Rinjani mountain ‘miniature’ which is known as Narmada park. Masbagik Town, biggest traditional morning market in Central Lombok, where you can see the locals seeling fresh food and fruits. 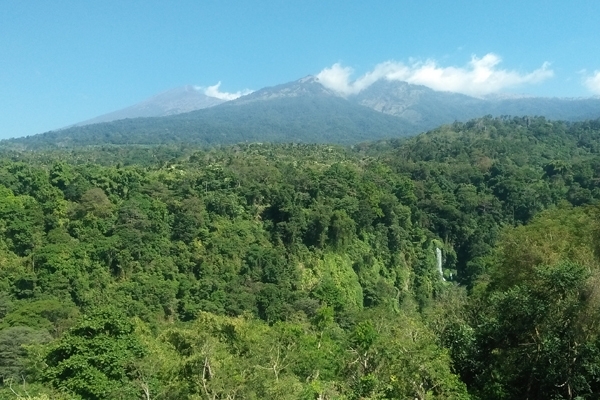 Sendang Gile and Tiu Kelep Waterfall, 600 m above sea level lies beneath the foot of mount Rinjani. The cool, fresh air and calm hill will provide a comfortable resting point. The biggest waterfall in Lombok lies 300 meters below. The waterfall irrigates the land with it’s crystal clear water coming from nature. Our guide will pick you up at your hotel lobby 07.00 to start the tour, drive passing Mataram City, the capital of Lombok. First stop at Narmada Park, when you step in Narmada , you‘ll feel as if you’re in Rinjani mountain which surrounded by wood and lake. This holy place stands impressively in Narmada park which is a ‘miniature’ of Rinjani mountain. Allegedly, king of Anak Agung Gede Karangasem built this temple because of his old age that he couldn’t climb Rinjani mountain to do the pray. As a replacement, he built a temple in a Rinjani mountain ‘miniature’ which is known as Narmada park. 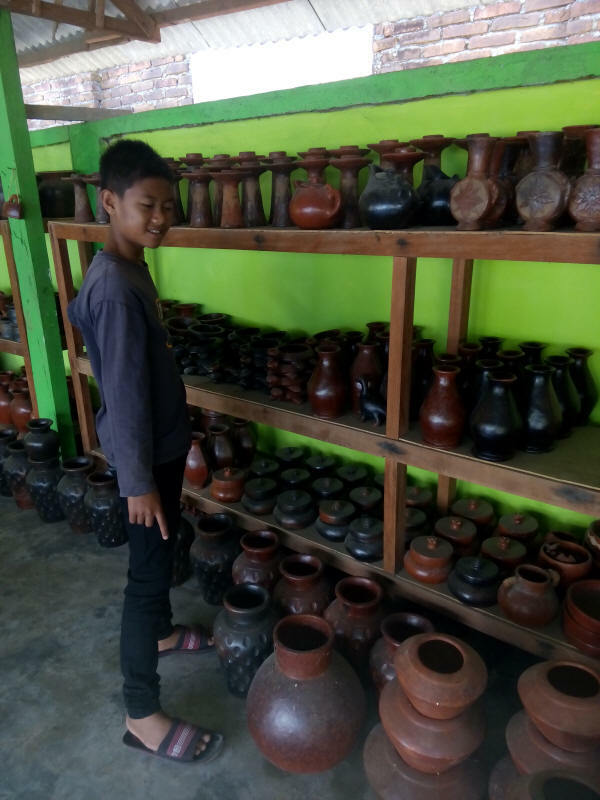 After exploring Narmada Park continue drive to central Lombok, stop at Masbagik local market to see the activity of local people trading daily needs. 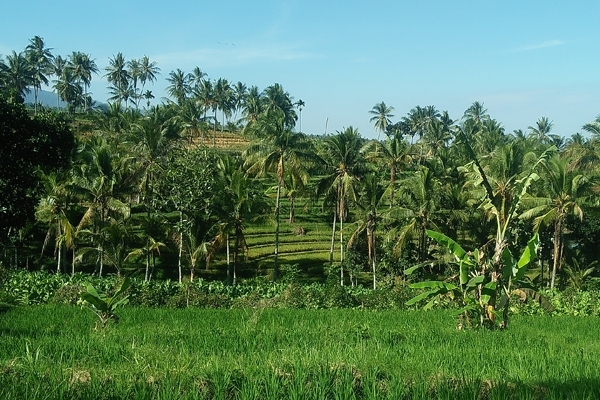 After walk around then continue to Sapit village, here you will see beautiful lanscape of the rice terraces. 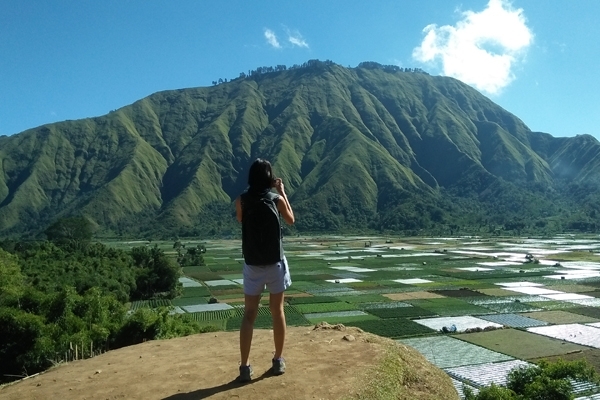 Walk around the rice fields and take photos, after that continue drive in tropical forest to Sembalun Pusuk. When arrive at the peak of Sembalun Pusuk (1500M) you can enjoy the beautiful scenery of the valley. 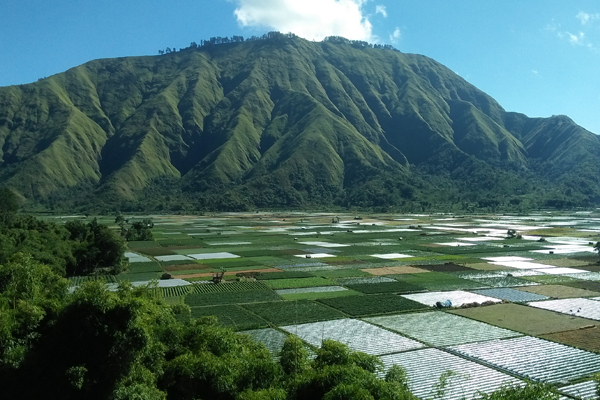 We then continue drive to Sembalun Village, hiking 50 meters up to Bukit Selong for scenic views of rice field. 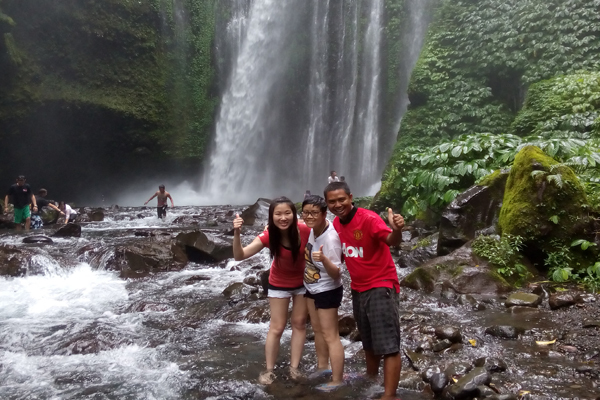 After exploring Sembalun continue the trip drive to Senaru Village, from here we will walks to the waterfalls. Sendang Gile and Tiu Kelep Waterfalls, 600 m above sea level lies beneath the foot of mount Rinjani. The cool, fresh air and calm hill will provide a comfortable resting point. The biggest waterfall in Lombok lies 300 meters below. The waterfall irrigates the land with it’s crystal clear water coming from nature. 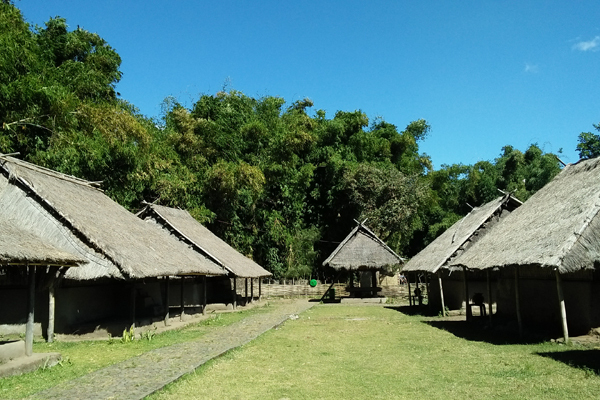 After finished explore the waterfalls, take rest at one of the restaurant for lunch then we will take a short visit to a Traditional Village, where mountain tribal life and the civilization of past centuries still exists as a part of the nature. After visit the village, finish the trip back to Senggigi, on the way stop for sunset at Nalimbu.